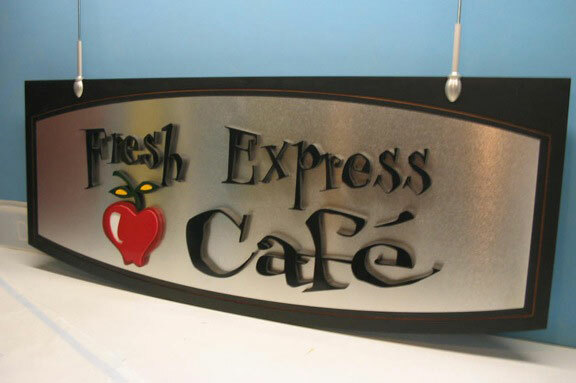 Custom Lobby Displays | Interior suspended CNC display in PVC. We routed a stained wood inlay around the brushed aluminum. Interior suspended CNC display in PVC. We routed a stained wood inlay around the brushed aluminum.